Last year on the way to Key West BrewFest (2013), I stopped at M.E.A.T. 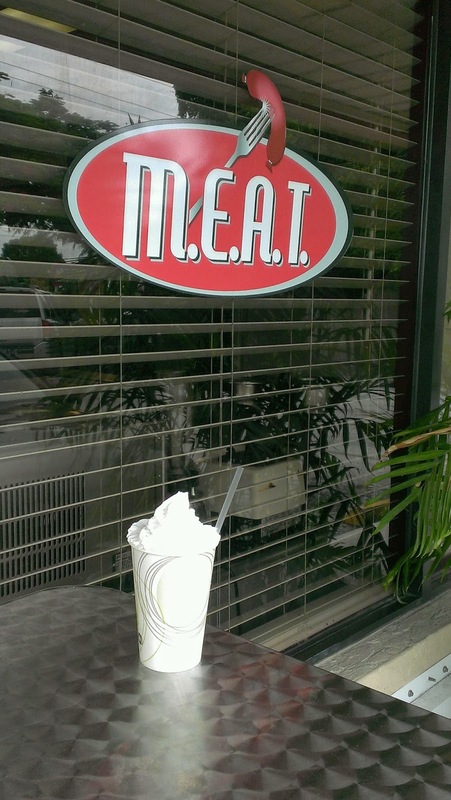 (Meat Eatery and Tap Room), located at Plaza 88, Mile Marker 88, on US 1 in Islamorada, Florida Keys, to get a beershake that I had heard about. (See blog post dated 9/8/2013). I absolutely loved it and promised that I would be back. Well, I am one to keep promises of course, so on my latest trip to the Keys (September 2014), I made a point to stop at M.E.A.T. to get another mouth-watering Beershake. Can you say "Anticipation"? Last time I had the beershake, it was made with Well's Banana Bread Ale (yeah, it was a taste bud tantalizing treat). Just before my recent trip, MEAT had posted that it was currently preparing the beershake with Southern Tier Brewing's Creme Brulee. That beer is awesome in its own right, and the thought of this beershake caused a lot of excitement. 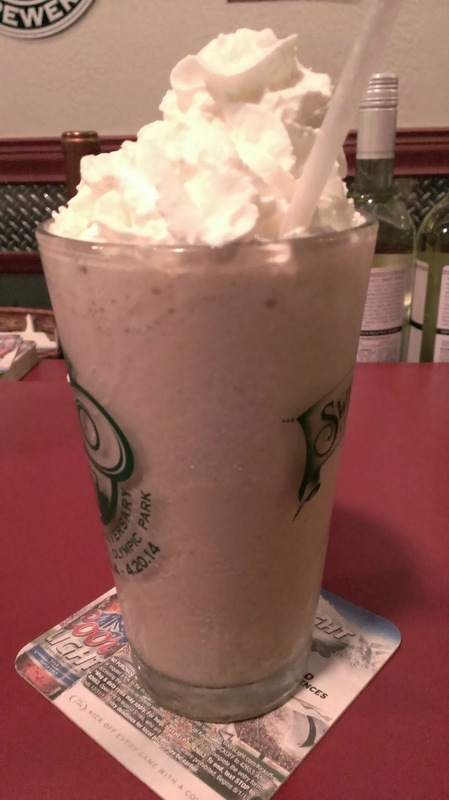 Now, I've done beer floats and beer-n-donut pairings here in St. Augustine, but a beershake with Creme Brulee? Yeah, it was definitely on the list of things I had to do on this vacation. Well, I saved the visit for the last night of the trip, and it was the perfect ending. So, here it is: Beershake with Southern Tier Brewing's Creme Brulee Imperial Milk Stout (4 oz), vanilla ice cream, and whipped cream. Calories be damned (and, really, I didn't care), this is one tastebud treat that you can't miss! A lot of oooh's and aaah's here, to be sure. I could probably get a little more graphic, but you get the idea. But, hey, M.E.A.T. 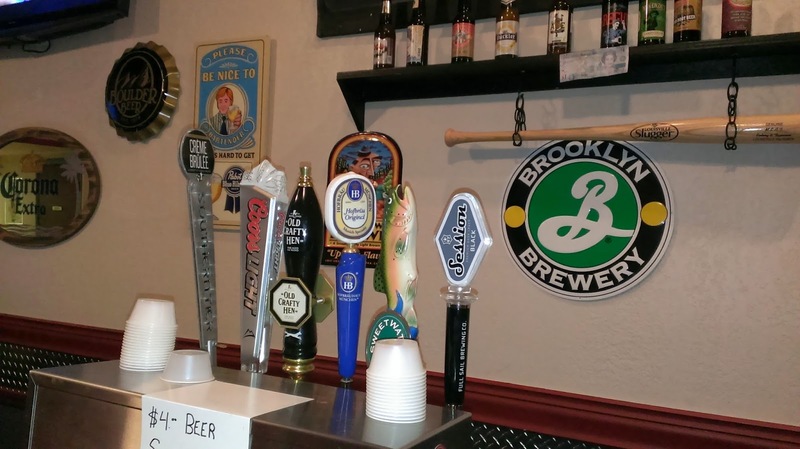 also has quite a good selection of craft beers on tap, too. On this night, the tap list included Hofbrau German pilsner, Sweetwater 420, Funky Buddha Hop Gun IPA, Chimay, Bell's Amber, Palm Belgium Ale, Anchor Steam Summer Ale, Full Sail Black Lager, and of course, Southern Tier Creme Brulee. Also, check out this food menu: lobster mac n cheese, Maine Lobster Roll, chicken basket, hot dogs, a number of burger variations, brats, sausages, pulled pork, and micro brewed root beer. Check out the menu and more at www.meateatery.com. Some creative stuff here ("truffle bistro fries" with truffle oil, parmesan and rosemary? yummmmmm). There's also a second location in Boca Raton. Chef George, I'll be back for the beershake next time I'm in the Keys: you can count on it. I'll be looking forward to it! If you are driving along US 1, make sure you give this place a stop. The restaurant patrons seemed plenty happy!